Buy a $25 TLC Properties Charity Sweepstakes ticket and all the money goes to your favorite charity — and you also could win this 2015 Ford Mustang. Who doesn’t want to help charities? Here’s your opportunity — as well as a chance to win prizes, including a 2015 Ford Mustang or $10,000. The Price Cutter Charity Championship presented by Dr Pepper is an annual PGA Web.com Tour stop in Springfield, and will soon be back in the Ozarks from Aug. 7-17 — with the pros beginning play on Aug. 13. To win prizes and to support our 44 charities, you can purchase a $25 TLC Properties Charity Sweepstakes tournament pass. It’s good for all four days of the tournament and, if you mark your favorite charity, that charity receives all $25 of your ticket. We’ll have daily drawings during the tournament, including on Championship Sunday when he draw for the winners of the Mustang and $10,000. Click this link for a list of our charities & this link for the rules. To buy a ticket, contact the charity of your choice or the PCCC staff at 417-887-3400. Ozarks-area kids organizations can receive discounted tickets to Missouri State events such as Bears baseball. Stretching a dollar these days can be a challenge. Just ask Brandi McNelly, whose two sons enjoy attending sporting events. Fortunately, Jeremiah and Matthew McNelly have been able to attend Missouri State Bears basketball games the past few years – thanks to the Missouri State University Foundation, which receives an assist. That assist being the Price Cutter Charity Championship presented by Dr Pepper, an annual PGA Web.com Tour stop in Springfield. The tournament generated a record $1 million for local children’s charities a year ago, and here’s your chance to help again. 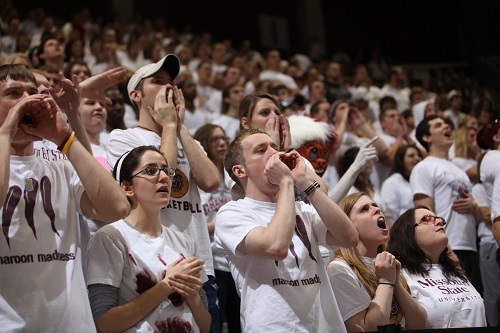 HELP THE MSU FOUNDATION: The non-profit, in part, covers a portion of ticket costs for area families to attend Missouri State sporting events. To support the foundation in any way, call 417-836-4143. FOR GOLF FANS, WIN PRIZES: The purchase of a $25 TLC Properties Charity Sweepstakes ticket serves as a four-day tournament pass, but it’s better than that. 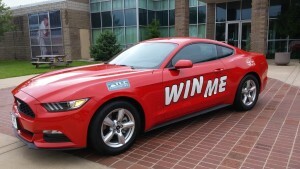 It enters you to win daily prizes during the tournament as well as grand prizes of $10,000 and a 2015 Ford Mustang. TICKET REVENUE GOES WHERE: Contact the local charity of your choice, simply because they receive revenue directly from those TLC Property Charity Sweepstakes tickets marked with their names. BUSINESS SPONSORSHIPS: Businesses can support the PCCC through various sponsorships, such as the daily newsletter, website or through several events such as a dozen Pro-Ams. Additionally, restaurants, clothing stores and entertainment stops and such are asked to donate a gift card with at least a $25 value in the name of your charity of choice to benefit them in the Golf Ball Charity Auction. Contact the PCCC staff at 417-887-3400. WHEN, WHERE: The tournament is Aug. 7-17 at Highland Springs Country Club, with the pros playing beginning Aug. 13. 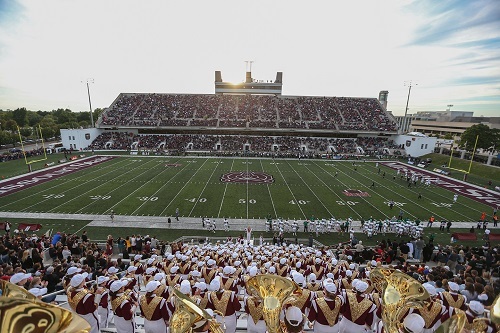 The Missouri State football stadium received a major upgrade in 2014 on the east side. For the McNelly family, the MSU Foundation has been a positive in life. You see, Jeremiah and Matthew attend the Boys & Girls Club of Springfield and have made numerous friends. Among activities are trips to MSU sporting events, as the MSU Foundation provides tickets to the club, among many other organizations. The Foundation distributes the tickets through its Bears Assisting Youth program. That program has been extremely valuable to local youths, who since the year 2000 have been able to see the Bears and Lady Bears basketball teams – remember the Jackie Stiles era? – as well as baseball and football games. 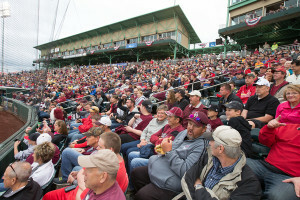 The baseball team this year recently won an NCAA Division I Regional and finished ranked among the Top 10 in the country. The basketball teams have been competitive in the Missouri Valley Conference, one of the top Division I mid-major circuits. The more young people that the MSU Foundation can bring to campus the better, as the goal is to build interest for future students. It’s also a way for the university to bring young students on campus. 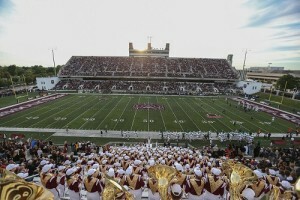 That’s especially important these days now that Missouri State has expanded its football stadium and added several new sports facilities. In essence, the campus looks spectacular.